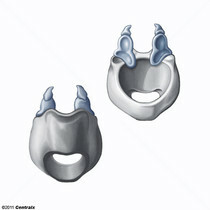 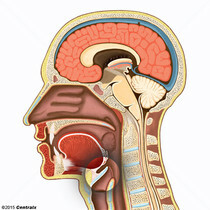 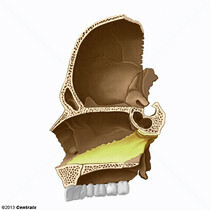 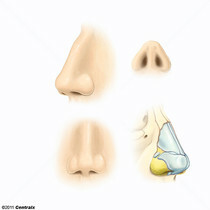 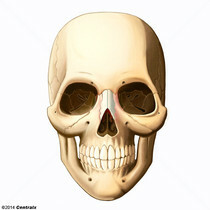 The partition separating the two nasal cavities in the midplane, composed of cartilaginous, membranous and bony parts. 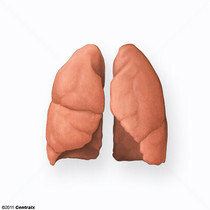 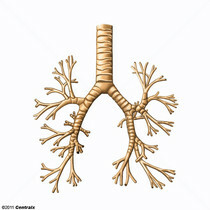 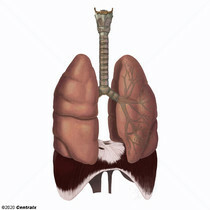 The tubular and cavernous organs and structures, by means of which pulmonary ventilation and gas exchange between ambient air and the blood are brought about. 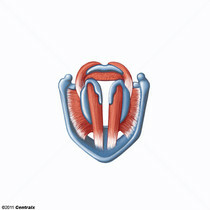 An irregularly shaped, musculocartilaginous tubular structure, lined with mucous membrane, located at the top of the trachea and below the root of the tongue and the hyoid bone. 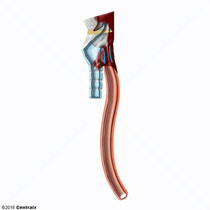 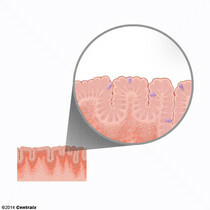 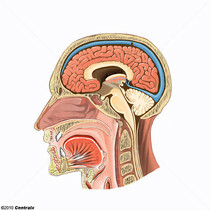 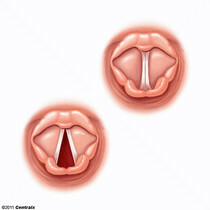 It is the essential sphincter guarding the entrance into the trachea and functioning secondarily as the organ of voice. 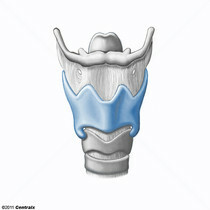 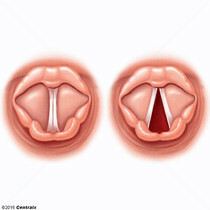 The vocal apparatus of the larynx, consisting of the true vocal cords (plica vocalis) and the opening between them (rima glottidis). 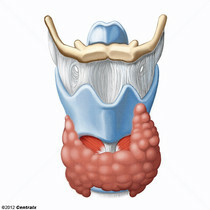 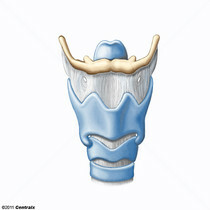 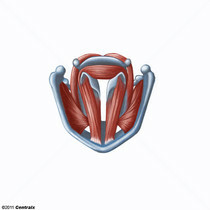 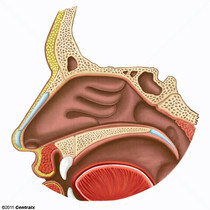 The folds of mucous membrane along either wall of the larynx from the angle between the laminae of the thyroid cartilage to the vocal process of the arytenoid cartilage.